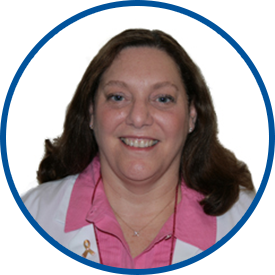 Dr. Wysoki is board certified by the American Board of Obstetrics and Gynecology and has been practicing in Westchester County since 1990. She was awarded her medical degree from Georgetown University School of Medicine and completed her residency training at Grady Memorial Hospital in Atlanta, GA. Prior to joining Westmed Medical Group in April 2010, Dr. Wysoki was a physician/partner with another medical practice in the White Plains area. Dr Wysoki is THE BEST! I highly recommend! I have known Dr Wysoki since she first came to Westchester (maybe 30 years?). She has always been extremely friendly, approachable and knowledgeable. Dr. Wysoki was very helpful and professional. Dr Wysoki would be recommended to all family and friends. she was wonderful. will see her again. *Dr. Wysoki is the greatest! Good experience - hopefully my problem will be resolved. Dr. Wysoki consistently provides me with good information and options regarding my health. She is gentle and can make a difficult procedure more bearable. Dr. Wysoki is always professional, concerned and understanding. i have been her patient for many years. Again Dr Wysoki is the best! I have recommended Dr. Wysoki to my family and friends. Dr. Wysoki is very caring and takes the time to listen and explain things. *Dr. Wysoki is an excellent physician. Dr. Wysoki is the best. I have recommended her to other women and they love her too. I have been a patient of Dr. Wysoki for over 20 years. She is the best gynecologist I have ever used. She is a great asset to your organization. Dr. Wysoki is wonderful. Never makes you feel rushed. Engages with you personally, takes time to ask questions and listens to responses. Also a very pleasant and upbeat personality.